For The Children (FTC) was born as a compassionate response to the plight of millions of children worldwide who find their lives inn great peril now. What can one person do we might ask ourselves… and then remembering we’re not here alone… and together all things are possible, we can begin collectively to change the world…. One child at a time. 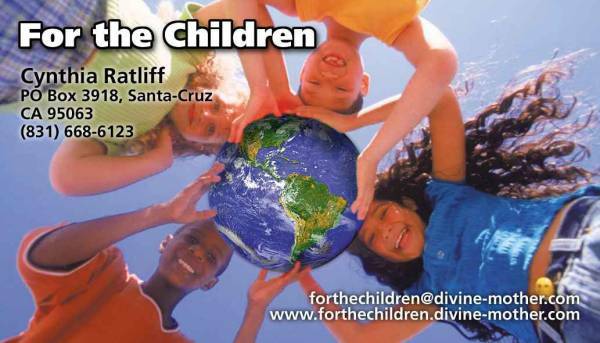 FTC in a USA / California non-profit (NGO) corporation founded in 1991 dedicated to the protection of the innocence of life and the service of marginalized children. FTC is supported by Mother Mary's Gemstone Rosaries and individual donations. FTC operates with an all volunteer staff assisting grass roots groups, aiding schools and residential homes for orphaned, abandoned and disabled children. This is an achieved through networking, sharing of resources, fund raising, sponsorship programs, events and direct aid. Often vocational training of displaced women is utilized to empower them with skills so they may provide for their children and themselves. FTC has on-going projects in Tibet, India and Brazil.